Rebecca Minkoff Lure Open Toe Sandals ($192.50) with 2.5" heel. 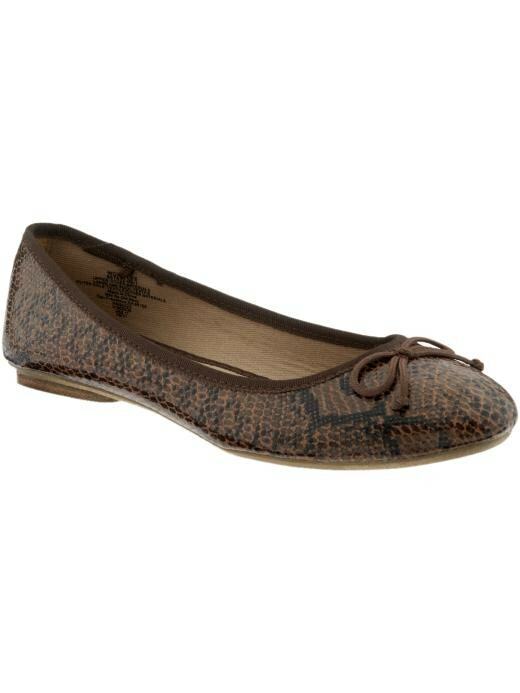 Or, how about a fun flat with a great price tag like this next Old Navy Women's Printed Ballet Flats ($22.94)? It's also available in black and white snakeskin. Shoe beauty is on the outside with a variety of trendy materials--suede, patent leather, velvet this fall. 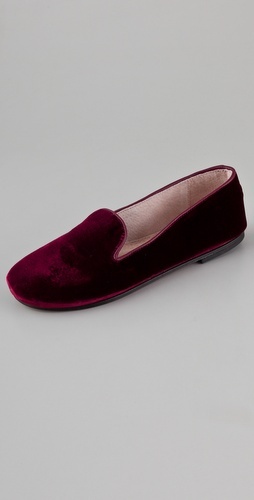 FRENCH SOLE fs/ny Drama Velvet Flats ($140). Also available in black, hunter green and navy. 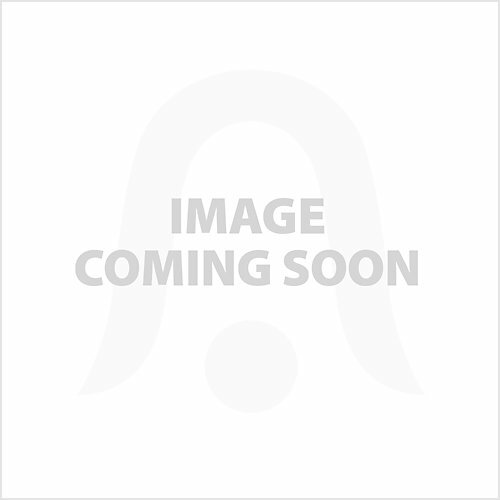 Shiek Shoes has lots of patent leather styles on sale. Unfortunately, the sizes for each style are limited. 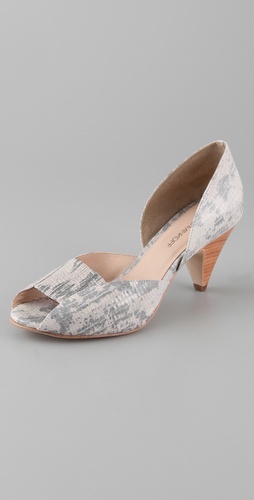 But click on either of the shoes below to shop the site. 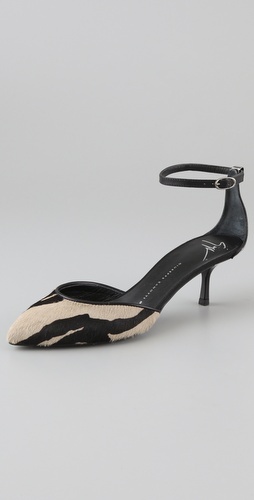 Or this 3.1 Phillip Lim Pasha High Cut Pumps ($395) with 2.5" heel. I find this heel is a lot more comfortable than the spiked heel. Footwear has been created for the menswear outfits. Menswear shoes have buckles, tassels, alligator prints and more. 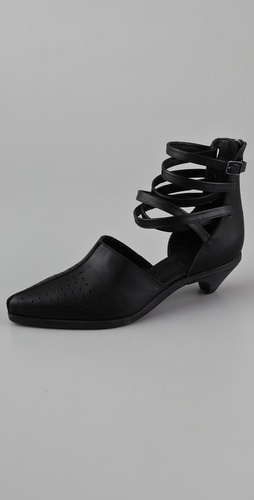 Loafers with towering heels are very chic. 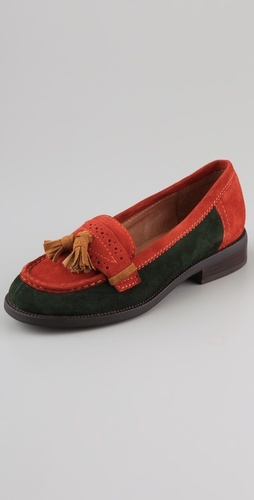 But there are plenty of low heels and flat like these Jeffrey Campbell College Suede Loafers ($128) in Sizes 7.5, 8, 9.5 and 11. 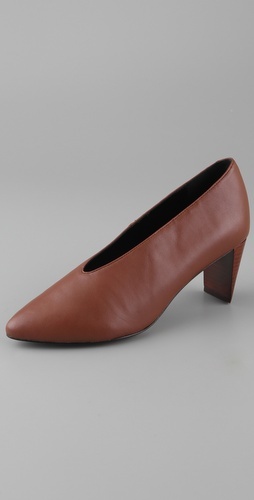 Also available in all Sizes 6-11 in brown or black. I'm seeing lots of glittery shoe designs this fall, perfect for the many holiday parties between now and New Year's. 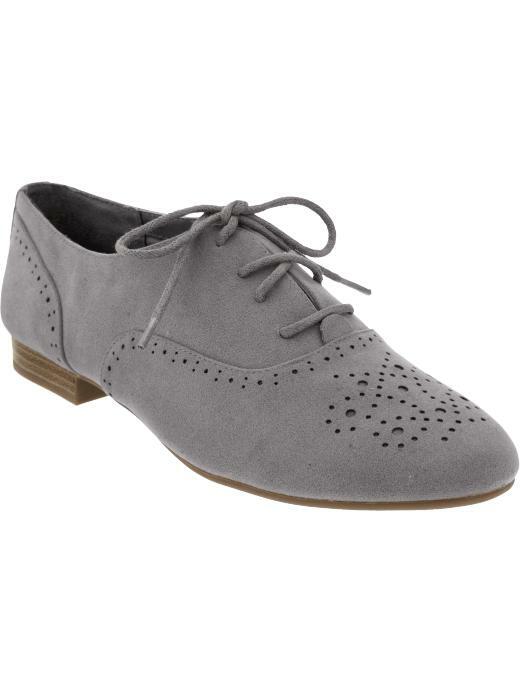 Take, for instance, these Rampage Women's Hadassa Flats (was $45, now $31.50) from Beall's Online Department Store.